Reading and share top 3 famous quotes and sayings about Blessed Sacrament by famous authors and people. 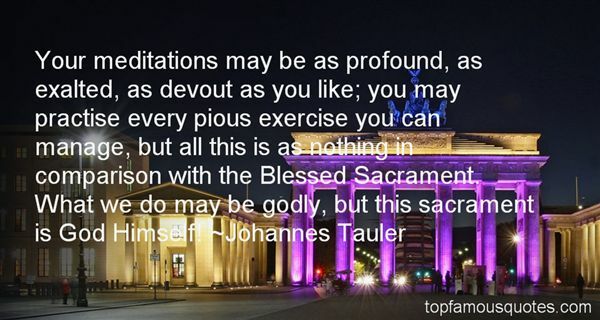 Browse top 3 famous quotes and sayings about Blessed Sacrament by most favorite authors. 1. 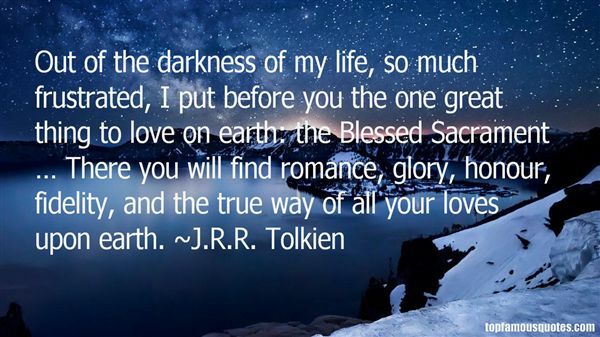 "Out of the darkness of my life, so much frustrated, I put before you the one great thing to love on earth: the Blessed Sacrament … There you will find romance, glory, honour, fidelity, and the true way of all your loves upon earth." 2. "Your meditations may be as profound, as exalted, as devout as you like; you may practise every pious exercise you can manage, but all this is as nothing in comparison with the Blessed Sacrament. What we do may be godly, but this sacrament is God Himself!" 3. 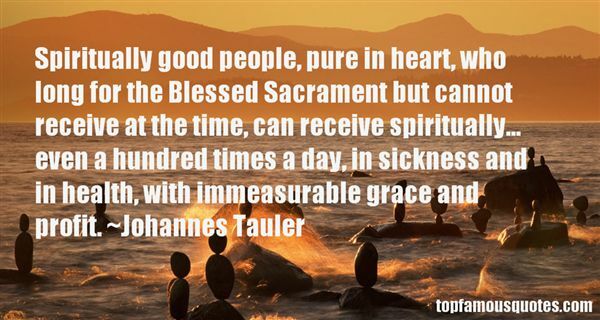 "Spiritually good people, pure in heart, who long for the Blessed Sacrament but cannot receive at the time, can receive spiritually... even a hundred times a day, in sickness and in health, with immeasurable grace and profit." Why couldn't life be like the movies where the women faint when they get overwhelmed?"